The three winners of the “My DIY Sports Venue” photo competition tell us more about their images and demonstrate that there’s more to taking a photo than you think. A travel and graphic arts enthusiast (drawing and painting). I have been passionate about photography since the age of 10. I take photos while traveling and while I’m out and about in the street in my day-to-day life. Photography is an integral part of my way of life. I occasionally get obsessed with trying to capture the crucial moment. I practised a whole range of different sports in a club: football, basketball, surfing, skating, ice hockey, volleyball, jiu-jitsu, boxing, bodyboarding, snowboarding, scuba diving, mountaineering and running. I think of sport as a free space, which is essential to maintaining a physical and mental equilibrium. I found the bareness of the surrounding area and the incredible inventiveness of these two children extremely interesting. You can’t really see it in the photo, but the ball is actually made of bunched up tape. 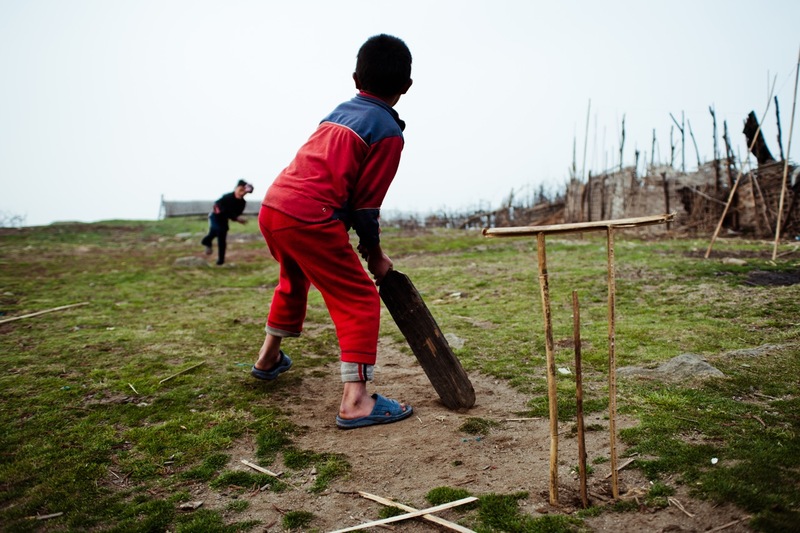 The wicket is rather basic, made from pieces of bamboo taken from the fences around the field. I wanted to capture the enthusiasm of these kids, who are really giving it their all. When I saw this scene, I sat down and spent several minutes taking a number of photos, trying not to be too intrusive. The two budding sportsmen seemed flattered that they were being photographed, and in the end offered to pose like professionals. The action is visible via a diagonal, so you can see exactly what is going on. The shallow depth of field and the slightly high-angle nature of the shot provide an interesting perspective, which fully captures the feel of the scene. Whatever means you have at your disposal, sport is universal. A bit of resourcefulness has given rise to a perfectly usable cricket pitch. The desire to play sport can make you extremely creative.